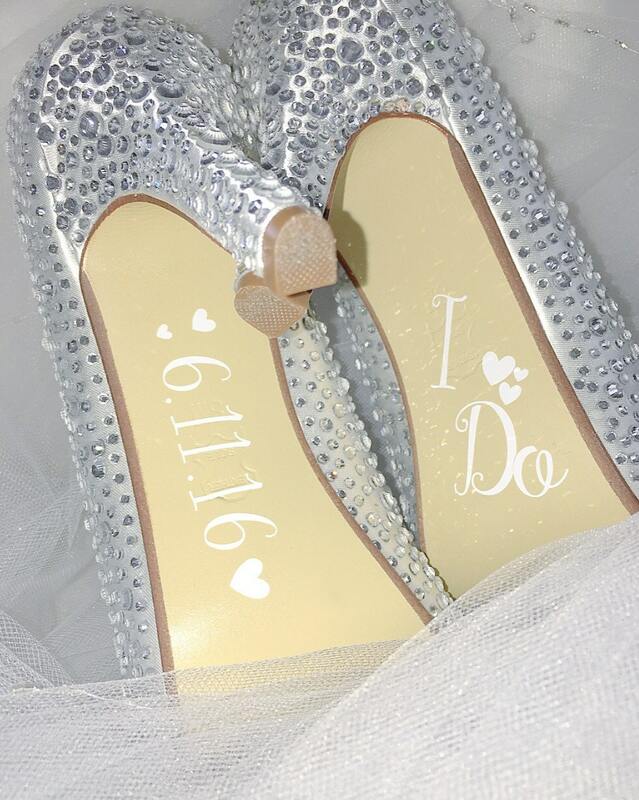 Bride Shoe Decals! The perfect addition to the Bride's attire! These are made of Adhesive Vinyl and will come on a transfer sheet for easy peel and stick. Each decal is a separate order. If you want the listed picture, it is 2 decals. Thanks! 1. In the note to seller section, include the numbers you want and the information required. I have listed 3-5 days for shipping so this indicates that you will actually receive your item NO LATER than 1 week from your order. I am quick with turn around times... If you need your decals by a certain date, just let me know and I will make sure you get them. Your satisfaction is most important! Decals where very easy to apply and look beautiful! Gives that little extra needed on my heels to make it more intimate! Cute & fast. Thank you! Perfect for my wedding. Thank you for the quick response.